Joachim Gevert was born in Cooma, NSW. He moved to Sydney at the age of four and has lived there ever since. He has a background in engineering, and he considers his fourteen-year-old Fox Terrier, Hershey, to be one of his best friends. He’s incredibly excited for The Man in the Panama Hat to enter the world. 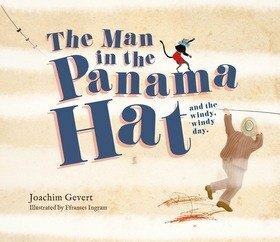 He has many more adventures (and tribulations) planned for the Man in the Panama Hat that he would love to share.